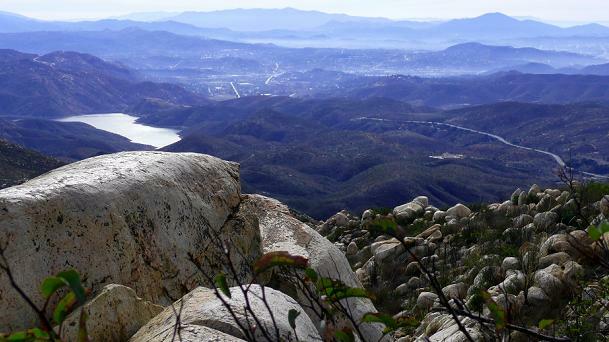 Iron Mountain is one of the great nature hikes and one of the best trail in San Diego area in terms of accessibility. It is located at the eastern edge of the City of Poway. There are two trailheads which are located approximately 1 mile apart. The hike from the Highway 67 Staging Area, just south of the intersection with Poway Road, is shorter and is a direct path to the peak. The hike from the Ellie Lane Staging Area, one mile north along Highway 67, is a bit longer, but more scenic and most of it is a loop hike. San Diego Backroads: Iron Mountain for more photos, trail descriptions and directions. Entry filed under: hiking, iron mountain, san diego. Thanks for the nice read, keep up the interesting posts..
Iron Mountain! This is an old friend. 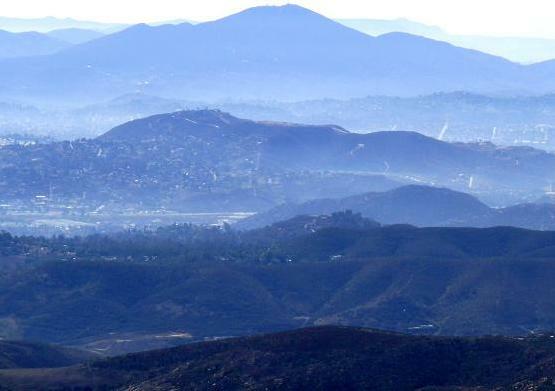 I grew up in San Diego and I’ve hiked and mountain biked Iron Mountain many, many times. I’m going to have to do Iron Mountain again. Great picture of the spectacular view! I love this hike. I hike it twice a week!!! I love this hike. I do it twice a week during this time of year because the weather is so nice.